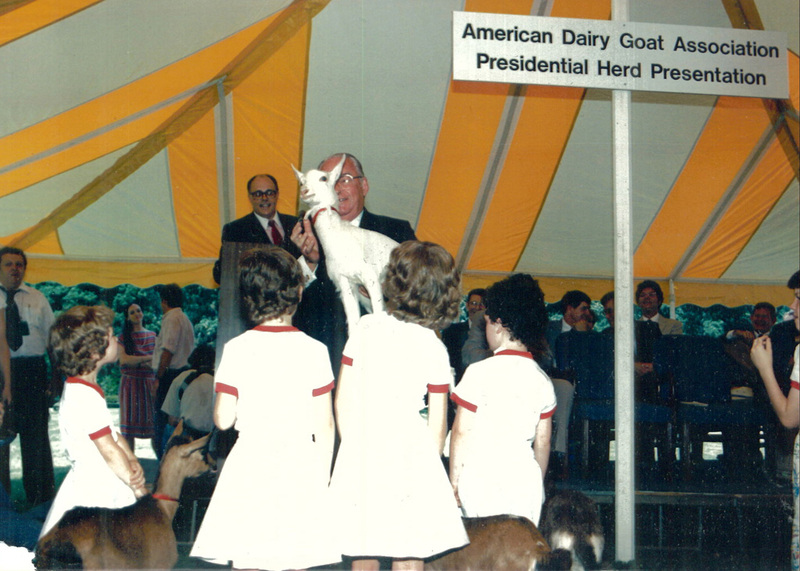 On June 12, 1986, the American Dairy Goat Association presented six dairy goat kids to the US Department of Agriculture. 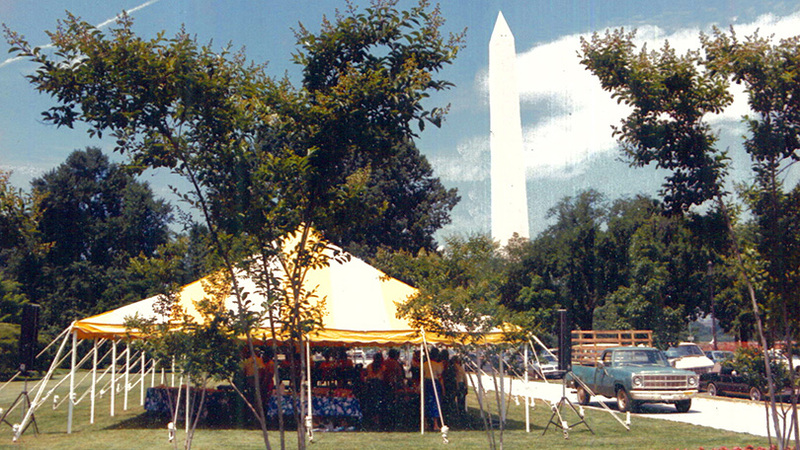 The day is recognized as the first National Dairy Goat Awareness Day and was commemorated by a gathering under a tent near the Washington Monument in Washington, DC. 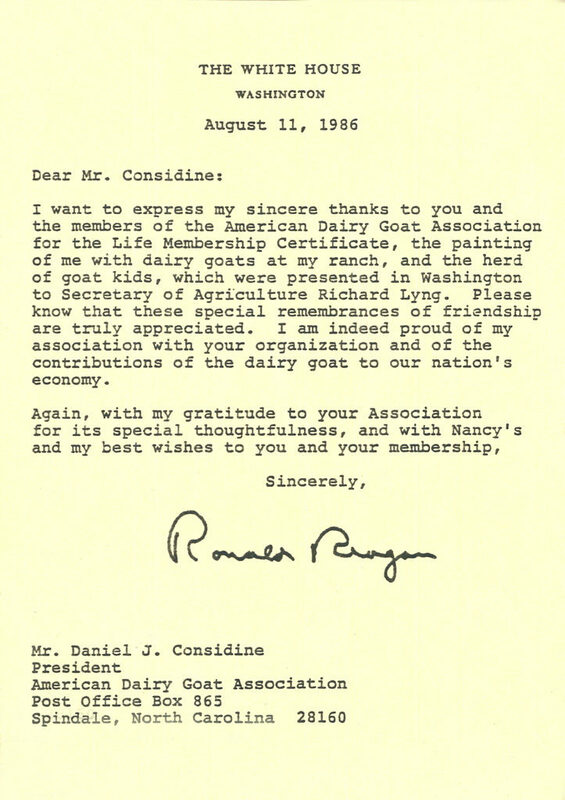 At the presentation, a painting of President Ronald Reagan with dairy goats at his ranch and an ADGA Lifetime Membership were presented to President Ronald Reagan. Appropriately, a goat cheese reception followed the presentation. 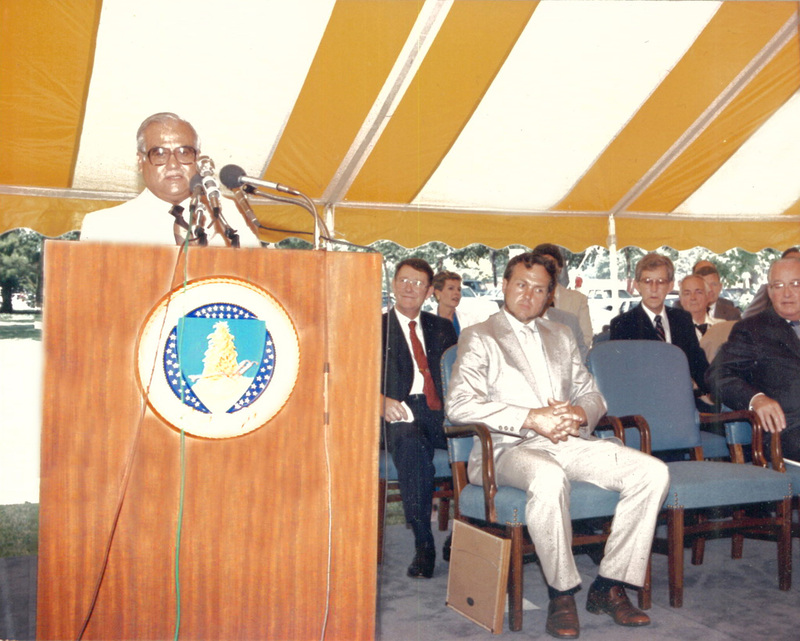 Photos from this event and a letter of appreciation from President Ronald Reagan to the American Dairy Goat Association president at that time, Daniel J. Considine, are proudly displayed at the American Dairy Goat Association office in Spindale, North Carolina. 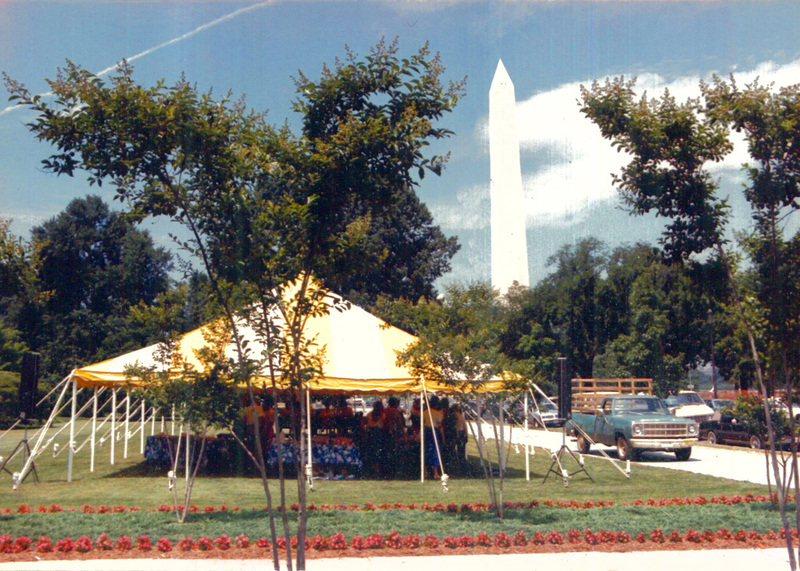 The site of the first National Dairy Goat Awareness Day celebration on June 12, 1986. 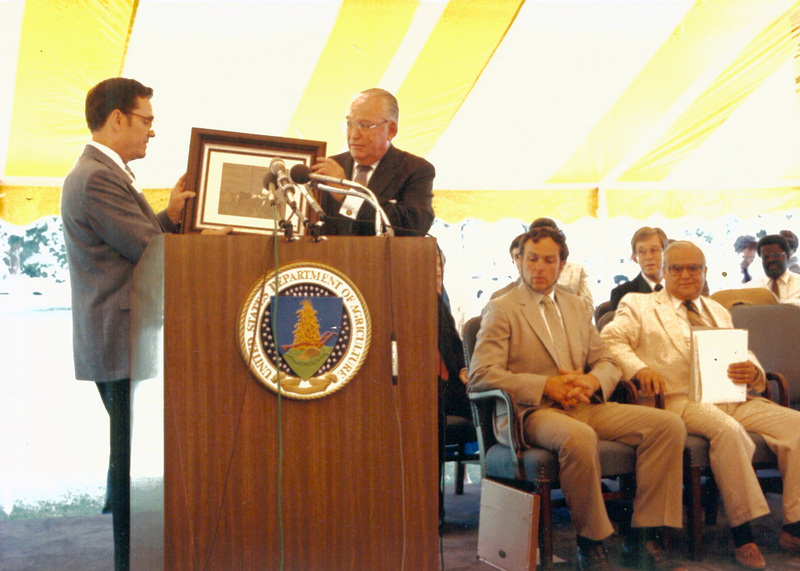 Secretary of Agriculture Richard Lyng accepting a painting for Ronald Reagan from Kent Leach. 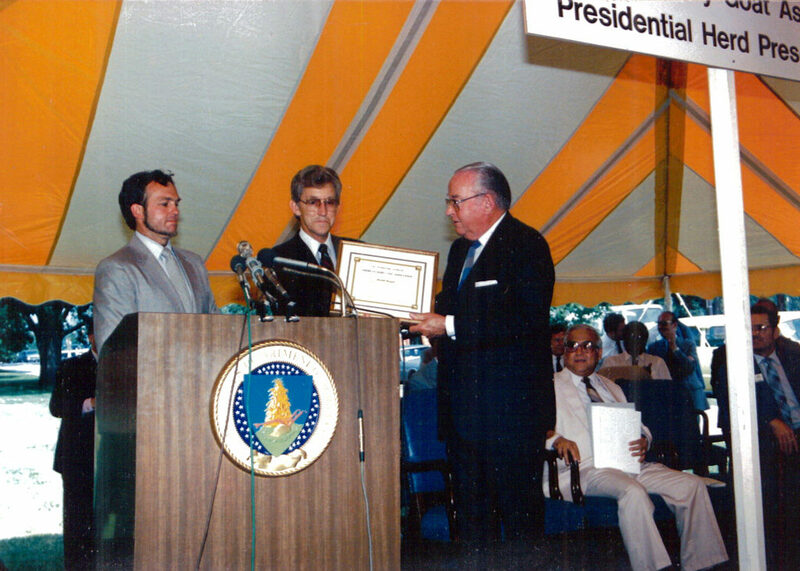 Secretary Lyng accepting an ADGA Lifetime Membership Certificate for President Reagan from Dan Considine and Don Wilson. Congressman de LaGarza, Chairman of the House Agriculture Committee, addressing the gathering. 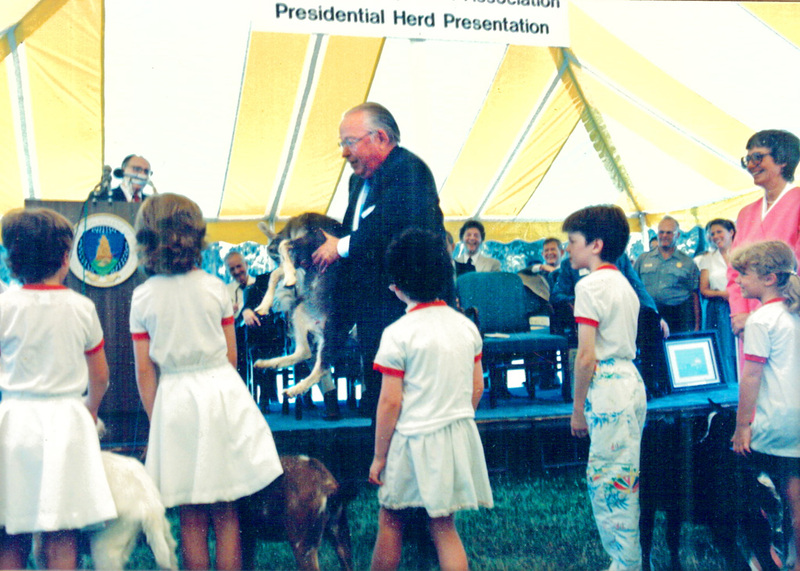 Secretary Lyng accepting the goat kids. 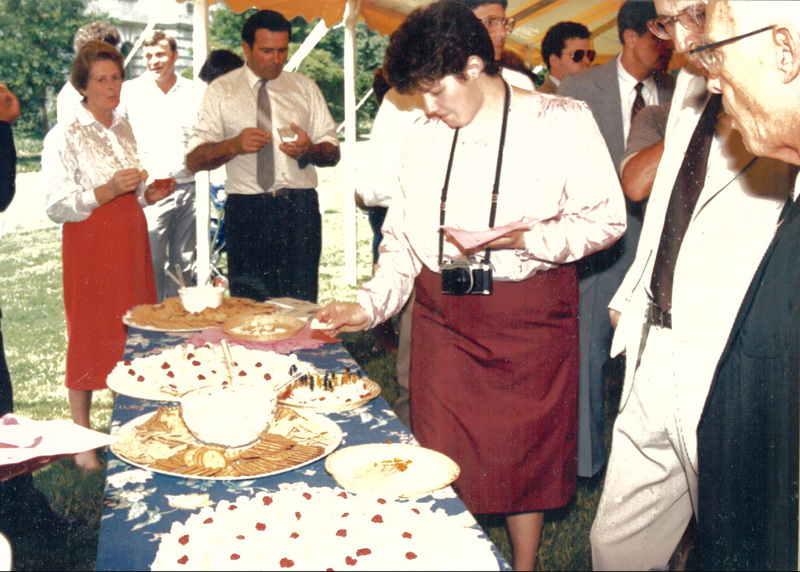 Helene Roth, donor of the LaMancha kid at the cheese reception following the presentation. 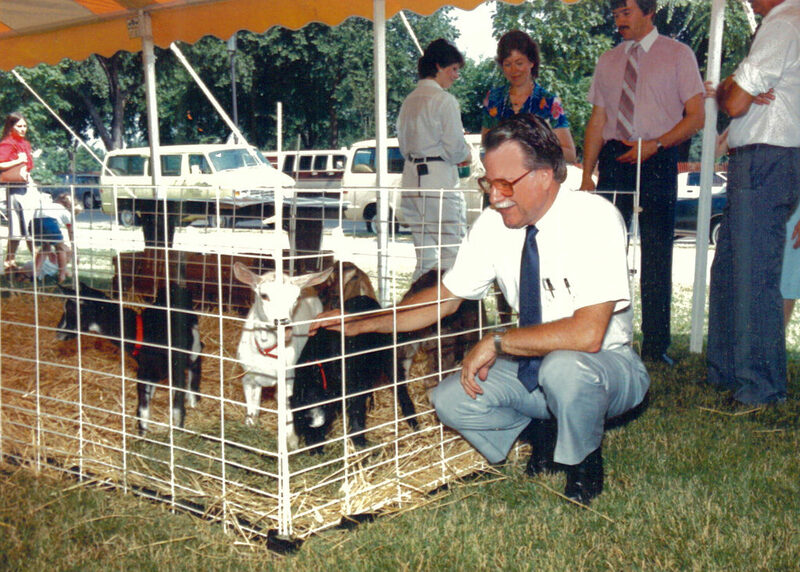 Dr. Frank Dickinson of the USDA inspecting the goat kids. Secretary Lyng accepting the goat kids. 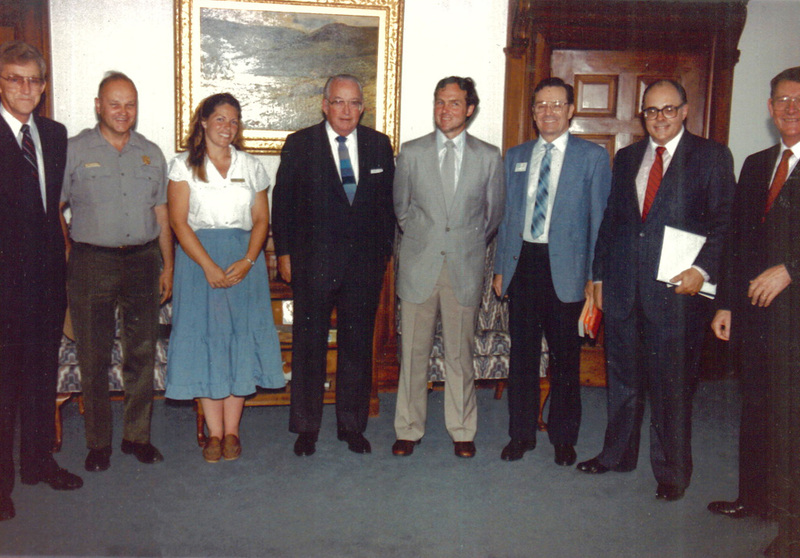 Email editor@adga.org if you know anything of the children in this photo. Use the national dairy goat awareness week tag for related articles.